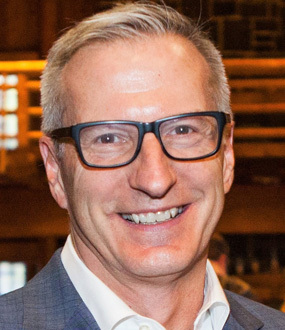 With more than 20 years of experience helping senior executives and management unlock the potential in their teams, Dr. Frei is one of the world's most sought-out business experts on leadership development as well as building and reinventing corporate culture. The recipient of numerous Faculty Teaching Awards, Dr. Frei is the UPS Foundation Professor of Service Management at Harvard Business School, where she has pioneered research and educational initiatives in managing service operations, organizational transformation, and diversity and inclusion. 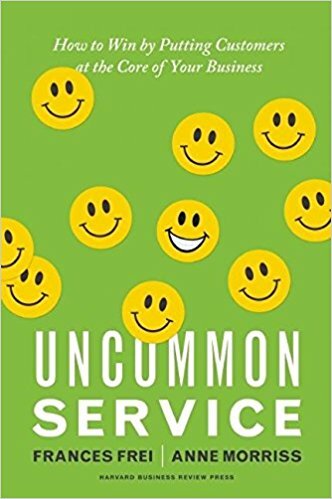 Dr. Frei is the co-author of the best-selling book, Uncommon Service, which argues that in order to thrive, modern companies must tie customer service to every aspect of their operations, using it as "a competitive weapon" rather than "a damage-control function." Widely regarded as one of the top business strategy experts in the world, Frances Frei is the UPS Foundation Professor of Service Management at Harvard Business School and the co-author of the best selling book, Uncommon Service. Her research and keynotes focus on how leaders can compete on excellence by designing, managing, and scaling exceptional service organizations. For more than 20 years, Dr. Frei’s research has shaped the strategies of the world’s most competitive companies. Some of her most influential and talked-about publications include “The Four Things a Service Business Must Get Right” (Harvard Business Review, 2008) and the groundbreaking article, “Stop Holding Yourself Back” (Harvard Business Review, 2011). Her case studies examine companies from multiple industries, including financial services, government, retail, software, telecommunications, and travel and leisure. 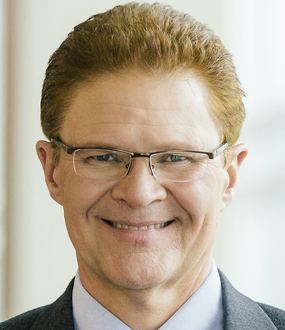 Dr. Frei’s more recent research focuses on how to increase diversity and inclusion at work, and how doing so improves an organization’s performance. Her advice is frequently sought by senior executives looking to transform their organizational culture and scale their business. Known for her sharp sense of humor and straightforward delivery style, Dr. Frei is the recipient of numerous Harvard Business School Student Association Faculty Teaching Awards. She is the creator of one of the school’s most popular courses, “Managing Service Operations,” which explores how organizations build business models that reliably delight customers. 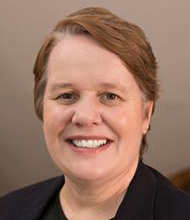 Frances Frei is the Senior Associate Dean for Executive Education and the UPS Foundation Professor of Service Management at the Harvard Business School. 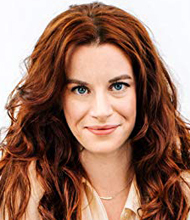 She is the best-selling author of Uncommon Service: How to Win by Putting Customers at the Core of Your Business (Harvard Business Review Press). Her research examines how leaders create the context for organizations and individuals to thrive. She serves as a personal advisor to senior executives embarking on cultural change and organizational transformations. Her work has been published in top-tier journals such as Management Science and Harvard Business Review and spans a wide variety of industries, including tech, retail, healthcare and global multi-brand organizations. She has published more than fifty case studies on companies ranging from eBay to Oracle to the Cleveland Clinic. Professor Frei has been widely recognized for her dynamic teaching style. She developed one of the most popular courses at HBS, which investigates how organizations build business models that reliably delight customers. She also led the development of HBS’s innovative FIELD curriculum, which focuses on learning experiences that are experiential and immersive, with the goal of advancing the School’s mission to develop leaders who make a difference in the world. She has also developed breakthrough leadership courses optimized for rapid, lasting impact. 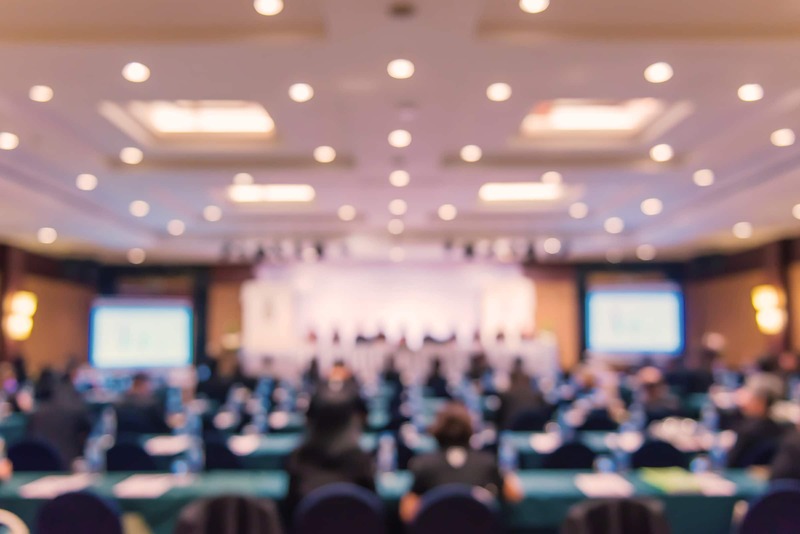 These include Why You Should Care: Creating a Culture of Excellence, Leadership Lessons from Ancient Rome, Women on Boards and The HR-Executive Suite Connection. Professor Frei actively advises organizations on how to address issues of excellence, leadership, and strategy. She works regularly with family businesses on the challenges of growth, succession planning, and the development of next-generation leaders. Her recent focus includes increasing the diversity of organizations as a means to significantly enhance organizational performance. Frances Frei discusses why extraordinary customer service, despite excessive organizational effort, is still a rare gem. Frei and her research partner, Anne Morriss, make the case that companies must dare to do some things badly in order to excel in the areas that their customers value most. Too often, businesses strive to be good at everything, Frei explains, a practice that ultimately exhausts organizations and their talent, resulting in mediocre service, at best. She outlines how companies like Southwest Airlines have managed to build cultures of "uncommon service" which wow us so much that we, in turn, give them "a disproportionate share of our income" and "customer loyalty that is difficult to shake." "The courage to be bad is what's holding us back," Frei says, cautioning leaders that they must choose which areas to focus on, and which to neglect, very carefully. Furthermore, they must understand how to set up a system that both "manages and trains customers aggressively" and allows their employees to "thrive casually." "If we are not delivering excellence, if we are delivering episodic excellence," she stresses, "we have designed the wrong jobs for our employees." Frances Frei helps leaders unlock the greatness in their employees and companies, permanently transforming the way they think about competition. In an economy where service is the key to customer loyalty and number one differentiating factor between you and your competition, Frei teaches you how to tie service to every move your company makes, from recruitment to leadership development, from diversity to customer training. 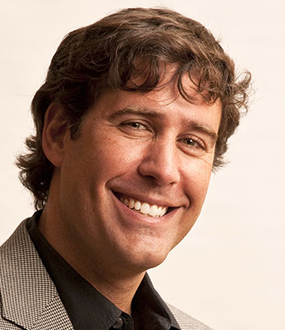 Straight-forward and to the point, the legendary business professor guides your group to firm-wide operational excellence by showing you how to design and implement systems that will allow your employees to deliver extraordinary service in the dimensions that your customers value most. Most of us never fully realize our potential to lead. This is not particularly irrational, nor is it breaking news. History suggests that the vast majority of us will significantly impact only a handful of people over the course of our lives (it's why we lionize the exceptions). There are distinct patterns in the mindsets and choices that keep people on the "leadership bench," as we like to call it. These patterns are easy to identify and -- more important – very possible to overcome. Our advice has a few practical parts to it, but at its core is a very simple invitation to anyone on the leadership bench. It is, in short, to get up. The rest of us can't afford to let you sit. Firms that try to achieve service excellence by relying on great performers or on inspiring their employees to "care more" about customers rarely succeed – in fact, these well-intentioned efforts often undermine a company's ability to drive consistent, superior performance over time. Truly sustainable service excellence must be systematically designed. Design principles include ensuring an adequate return on service investments, deliberately creating a culture of improvement, and managing and training customers. This last principle is particularly important in service environments where customer behavior is impacting the cost and quality of service. As the world confronts the need to expand its leadership pool, we believe there is a particular opportunity in tapping the impact potential of talented "outsiders." These individuals have latent capacity for leadership, and for a range of reasons don't look the part. There is some kind of demographic variance between their profile and their environment's historic expectations for who stands at the front of the room. In our experience working with these diverse managers and trying to make a difference as relative outsiders in our own organizations, we've found that a diverse identity often corresponds with a distinct pattern of self-imposed barriers on the leadership path. These include a range of defensive postures that heighten our sense of safety but undermine our effectiveness: unproductive relationships with opportunity and risk, with opponents and collaborators, with success and failure. Most organizations don't need better leadership – they need more leaders. Competition today requires unprecedented degrees of responsiveness, flexibility and creativity. And that's a leadership numbers game. More people need to take more responsibility. Performance increasingly depends on it. But the structures and cultures of most firms are designed to produce individual performers and managers, not leaders. Firms that win defy this pattern and do two things well: they create cultures that reward innovation and they provide a path from execution to impact for individuals with leadership potential. They are organized to learn – and to lead.